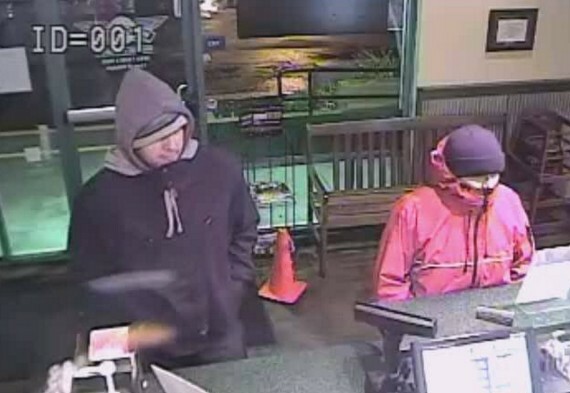 Police in Martinez are investigating an armed robbery at Wingstop. Officers responded at 10:30 p.m. on Thursday to the Wingstop at 1029 Arnold Drive to a report of a possible robbery in progress at the restaurant, police said. A witness told police two suspects with knives were confronting the cashier. Police said they received an alarm from the business moments later. The suspects fled from the scene before officers arrived, police said. Employees told police the two suspects entered the business, went around the counter and demanded money. Both suspects were holding knives, and one suspect brandished his knife at the employee’s face and instructed her to open the cash register, police said. 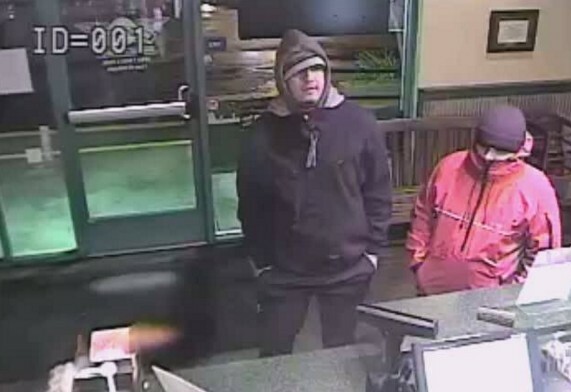 The suspects fled the restaurant with an undisclosed amount of cash. Several customers were in the store at the time of the robbery, but there were no reported injuries. The first suspect is described as a Hispanic man about 20 years old and wearing a black jacket, gray hooded sweatshirt and blue jeans. The second suspect is described as a Hispanic man about 20 years old and wearing a red jacket, a black beanie and black jeans. 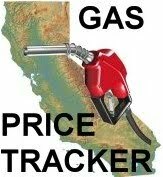 Witnesses are asked to call the Martinez Detective Bureau at (925) 372-3400. These chicken wing stores are a travesty. Don’t these people realize that after they cut off their wings those poor chickens can’t fly anymore? No ban guns comments this time. They only cut off one wing, they can fly in circles. They don’t cut off their wings and then let them live!! I hope this is sarcasm! Knife control. Ban all knives! We need more cameras too, I hope the video will be shown soon! And no female should be working behind the counter in a place that late at night, sorry. Not being sexist but she isn’t going to be strong enough to defend herself…it could have gone seriously worse I fear. @ Bird lover, thank you, the best chuckle of the day so far. I would bet that both of the robbers are on probation and/or have outstanding warrants. Keep letting these scumbags out, they’ll keep on doing the crimes. Far past time to cull the herd of the diseased. Where were all the good guys with guns? If only there were more guns and more people carrying guns these crimes would not happen. Feed em red bull, it gives you wings. All that diversity is sure working out ain’t it? Never understood the appeal of chicken wings. There is so little meat on them that it isn’t worth the effort. I suppose the investigative process will show when/if these types of robberies are inside jobs. We should arrest them… then deport them to San Francisco where all the bleeding hearts can visit with them tolerate, understand and free them so they can walk around and laugh in their faces. When are we going to wake up ? Is Martinez a sanctuary city? Martinez is not a sanctuary city and Concord became a sanctuary city on 8/18/12. Boy they sure look like a pair to draw to . . .
You might find them at the corner of 8th and walnut with the I hate Steven Singer guy. Im more of a breast and leg man. The cops are always recieving anonymous tips yet they dont like to listen because they want proof and evidence, ask concord pd, the identity of the one in the black jacket is right under their noses….the picture isn’t very clear but they appear to be certain norteno wannabes from concord from a certain gang in north concord, pretty funny because the police/detectives from concord know who they are, and no racist comments please because contrary to what people think they’re Americans. Throw some hot chicken wing oil in their faces. WHAT? Cops want proof? No way. You mean they just don’t round up the usual suspects and sweat a confession of out them with bright lights and a rubber hose anymore? Say it isn’t so! What has American come to? Who would have thought American jurisprudence would have fallen so far as to need evidence and proof. Dad? Dad, is that you? But I told him it’s not true… (my cousin only carries an ice pick). Yes, Martinez is a sanctuary city. Just look at Pacheco blvd. It is a Monument blvd in the making. It is a virus, it is spreading. Worthless pieces of sh#^t. I hope those stories about the police not wanting to arrest them aren’t true. Go out and get a real job little punks.